Search query volume has long been used as a barometer of consumer intent. But can it give us a good read on voter intent? Since search is such a private activity, there’s likely little bias from the so-called Bradley Effect that pervades the polls. So, with just a few hours left before this historic US Presidential race is decided, let’s take a look at Google Insights for Search and see if we can put our finger on the pulse of the nation. Comparing “Obama” and “McCain” query volume over the past 30 days (see chart below), it looks like Obama is starting to pull away. 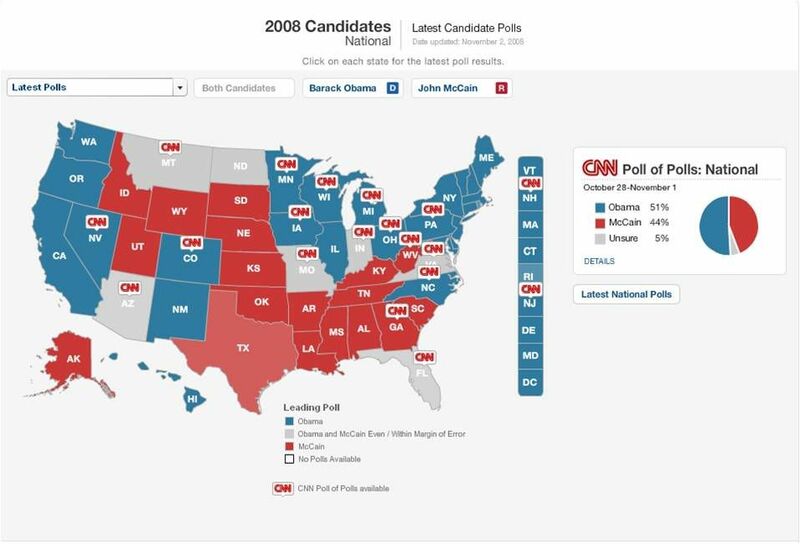 This corresponds with CNN’s National Poll of Polls, which has Obama currently with his highest percentage lead to date. If we expand the filter to the past 90 days (see chart below), we see McCain briefly overtake Obama in query volume back in September. Sure enough, from Sept. 8th - 12th, McCain jumped ahead in the polls (per CNN) and battled to a tie for a few days before falling behind again on the 17th. So there seems to be some correlation here. Back to that recent spike for Obama at the end of October, If you look at the breakdown by day (first chart above), you see the jump corresponds to the day after he ran those 30 minute spots across the major networks. Is anyone out there still questioning the impact of TV ads on search? 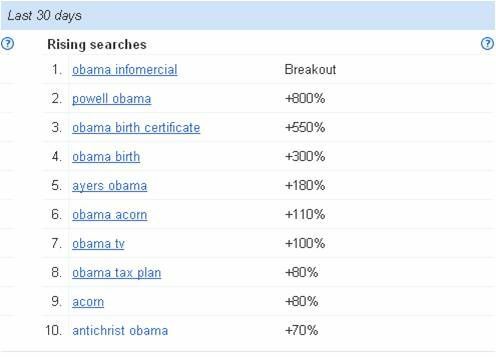 Indeed, Google Insights (see chart below) shows “obama infomercial” as a breakout query, meaning it’s indexing off the charts in terms of increase in search volume. 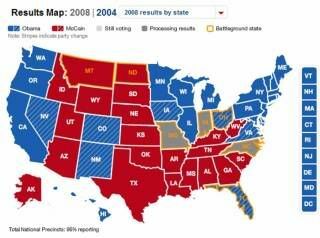 Now let’s zero in on the swing states to see what we can expect here. 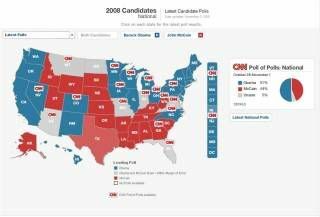 Since Obama holds the overall query volume lead in most states, perhaps looking at the index of each state relative to the total threshold for each candidate will be a better indicator of which direction that state is headed. If these state indices hold up and all the other states go as expected, Barack Obama will have enough electoral votes to become our next President. If McCain wins, however, we may as well toss our computers out the window -- which is what some people think the President should do anyway, much to my chagrin -- because search is clearly not as relevant as we all thought. It will certainly be interesting to see how things play out. Now, for those of you that haven’t yet cast your ballot, stop searching and start voting! 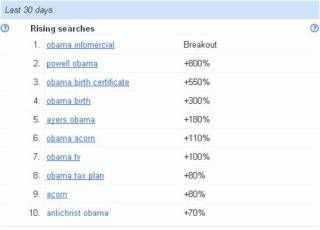 Update 11/5 - 6:30am: Well, it looks like Google got it right and Obama will ride his wave of search volume all the way to the White House. Now, before we go disregarding Election Polls in favor of Google Insights, let's take heed of Mr. Meunier's comments on this post. Indeed, it may be a stretch to claim that "these broad matched keywords reflect a voter's preference for a candidate" as a good amount of query volume may represent negative buzz. That said, it's hard to argue with the numbers that show the polls, and now the popular vote, aligning with Google search trends. There's no doubt the Internet and search engines played an unprecedented role in this election, from connecting voters with the candidates and other voters to fundraising and organizing efforts to arming voters with information on the issues. Fortunately for Democrats, she's consistently second to Barack. That said, I don't know that these broad matched keywords reflect a voter's preference for a candidate. Half of the top searches for palin for all time are related to SNL's satirical representation of her, and one has to do with the embarrassing interviews she gave. Only 40% of the buzz is either neutral or positive. 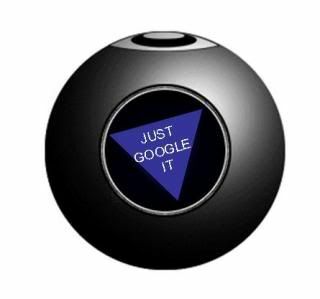 I wouldn't go so far as to say that the inverse of your post is true-- to say that Google might predict the election by tabulating who has the least buzz, as most of it appears to be negative; but I do think you need to factor in negative buzz, and subtract it from the total. Looking forward to finding out the answer to your question tonight on television (and twitter), regardless.